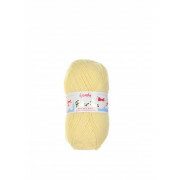 A pale yellow yarn, suitable for babies and children’s knits. 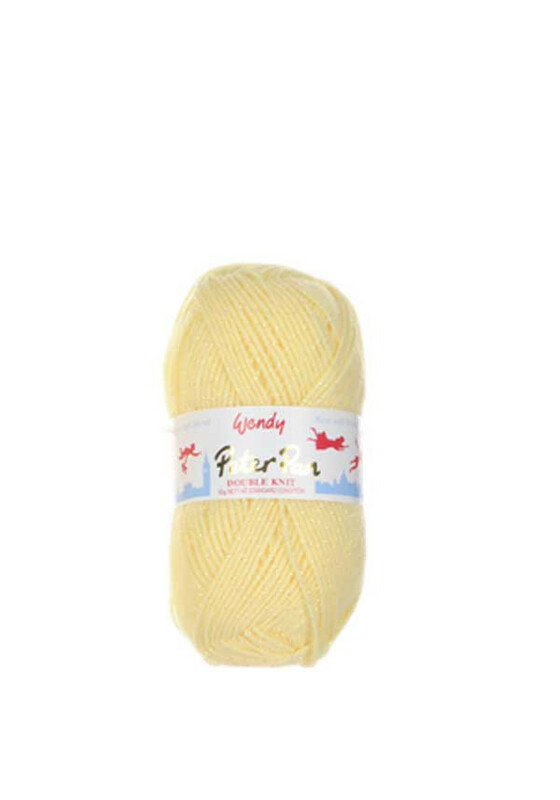 Washable, super soft, easy to work with and soothing, Peter Pan Moondust DK yarn has the advantages of the normal double knit yarn, but with added sparkle! The glistening thread spun into the yarn creates eye-catching garments.